Trade in North America has been at the forefront of everyone’s minds and the prime topic of heated discussions over the past year with negotiations of NAFTA still underway. I had the opportunity to attend The New England-Canada Business Council’s armchair discussion on Expanding New England-Atlantic Canada Trade in Changing World luncheon with three of the five Eastern Canadian premiers last month along with esteemed colleagues from both Canada and the US. Walking into the luncheon, at a glance one could not tell who was Canadian and who was American. The same could be said for our businesses and products distributed throughout the region that are so interwoven that many of my fellow luncheon guests were born in one country but reside in the other or travel on a weekly basis across the border. This interwoven culture and trade relationship was the underlying theme of the luncheon. The Honourable Brian Gallant, Premier, Province of New Brunswick; The Honourable Stephen McNeil, Premier of Nova Scotia; and The Honourable Wade MacLauchlan, Premier, Province of Prince Edward Island; discussed the importance of the region’s unique relationship and the benefits of events like the luncheon and of course, the NEG/ECP annual conference. 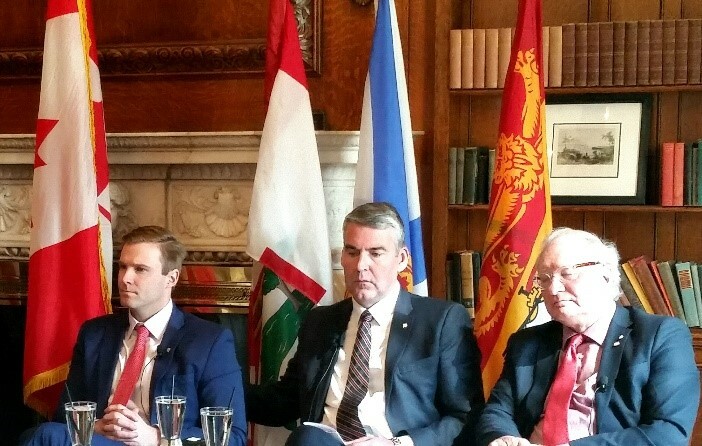 The premiers recognized the importance of the conference on multiple occasions noting that the event is one of the few times they can informally have a real conversation with state governors. 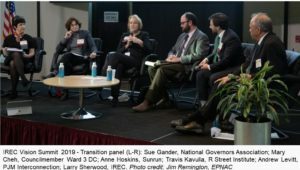 Many noted that the event was the first time they met some of the New England governors and had the opportunity for deep conversations about regional issues and concerns, including the current trade discussion. The premiers echoed the fact that they rely on technology and agricultural goods from the states that are not widely produced in the provinces and in turn the states import a tremendous amount of products, including seafood. This was evident given our lunch that boasted delicious Prince Edward Island mussels. Each state and province have their specialty goods; so why re-invent the wheel and try to produce the same good in another province or state when trade is such a natural and beneficial source of the region? We rely on each other for expert services and goods which in turn allow the region to have diversity and room for innovation. NAFTA negotiations have the opportunity to bring our three countries into the new era of trade. 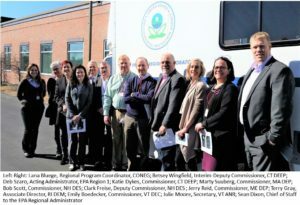 Without a fluid and collaborative relationship however, New England and Eastern Canadian businesses and consumers will not be able to undo this interwoven system without negative impacts.